THREE OAKS, Mich. (AP) — A Michigan distillery may move if the village where it is located orders the company to stop releasing byproduct containing chemicals into the sewage system. Village of Three Oaks officials said that Journeyman Distillery is violating an ordinance and overwhelming the wastewater system with too much chemical discharge. 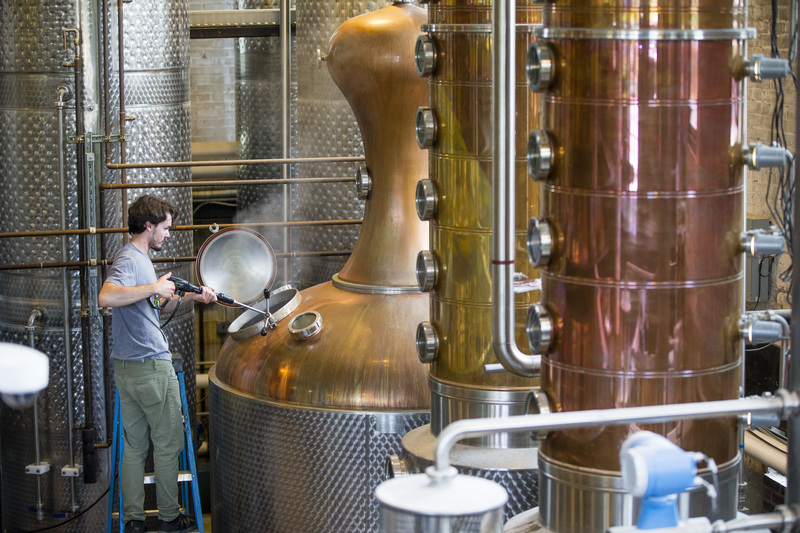 The distillery produces a variety of liquors with a focus on whiskey. Distillery owner Bill Welter acknowledges that the chemicals exceed the allowed amount. But he alleges the village is trying to blame the distillery for its wastewater system, which hasn’t been functioning properly for decades. “If they had been dredged (the lagoons), maintained over a long period of time, our level of discharge and strength would not be an issue at all,” said Welter. Journeyman is the village’s largest employer, taxpayer and attraction, putting Three Oaks in a precarious position to issue a possible cease-and-desist order. But the village could face fines from the state for releasing wastewater that doesn’t meet state standards into Deer Creek. Village officials delayed issuing the order until discussing the issue at a council meeting next week. The order would only halt alcohol production, but Welter said the business’ restaurant and catering would also have to shut down without the alcohol. The distillery indicated it may seek to block the order or potentially move to another community. Both sides are trying to find a resolution such as hauling the waste to another site or upgrading the system.